It was a turbulent time in America—a time of sit-ins, freedom rides, a March on Washington and a governor standing in the schoolhouse door—when John F. Kennedy sent Congress a bill to bar racial discrimination in employment, education, and public accommodations. Countless civil rights measures had died on Capitol Hill in the past. But this one was different because, as one influential senator put it, it was "an idea whose time has come." 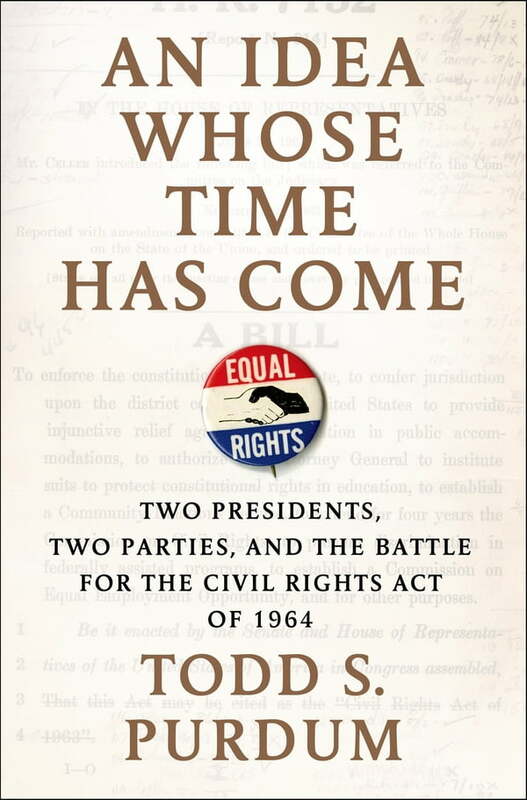 In a powerful narrative layered with revealing detail, Todd S. Purdum tells the story of the Civil Rights Act of 1964, recreating the legislative maneuvering and the larger-than-life characters who made its passage possible. From the Kennedy brothers to Lyndon Johnson, from Martin Luther King Jr. to Hubert Humphrey and Everett Dirksen, Purdum shows how these all-too-human figures managed, in just over a year, to create a bill that prompted the longest filibuster in the history of the U.S. Senate yet was ultimately adopted with overwhelming bipartisan support. He evokes the high purpose and low dealings that marked the creation of this monumental law, drawing on extensive archival research and dozens of new interviews that bring to life this signal achievement in American history. Often hailed as the most important law of the past century, the Civil Rights Act stands as a lesson for our own troubled times about what is possible when patience, bipartisanship, and decency rule the day.